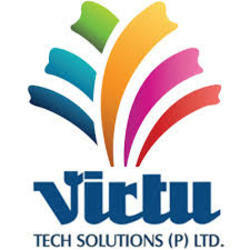 Virtu Tech Solutions Pvt. Ltd. is a leading Software Development, Mobile App Development, Website Development and Infrastructure Support Services Company providing great value by delivering proven high-quality services and expertise to their customers and partners. The company was formed in the year 2009 by a group of skilled technology experts and grown into a highly recommended mid-sized company serving a number of Fortune 100+ companies in a wide variety of industries, including the Automotive Aftermarket, Healthcare, Manufacturing, Insurance, Retail, Web Services and many others for the last 10 years. VTS Interactive technical capabilities include Android, IOS, BlackBerry, Windows, PHP, Java, .NET and web based application development covering full range of web application development and related support services covering every contemporary technology area in this vertical. Our experience of the Android Market Place coupled with our talented designers and extremely knowledgeable Android app development team gives us the confidence to take on the toughest of challenges and deliver outstanding Android apps that you would love..